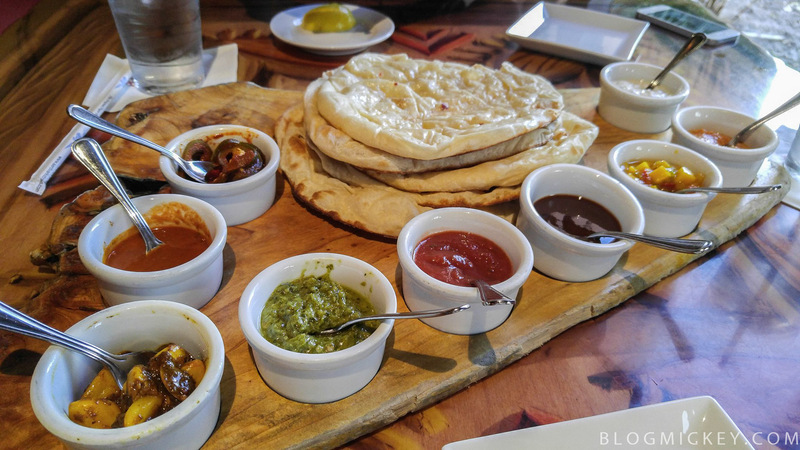 Some may say this is a small thing, but with the following that the Indian-style Bread Service at Sanaa has, it seemed only right to write a post about a recent change in the bread service presentation. The pricing remains the same as does the quantity in bread, but gone are the old wooden serving boards that used to be distinctly unique to Sanaa. First, a look at the old board. And now a look at the new presentation. 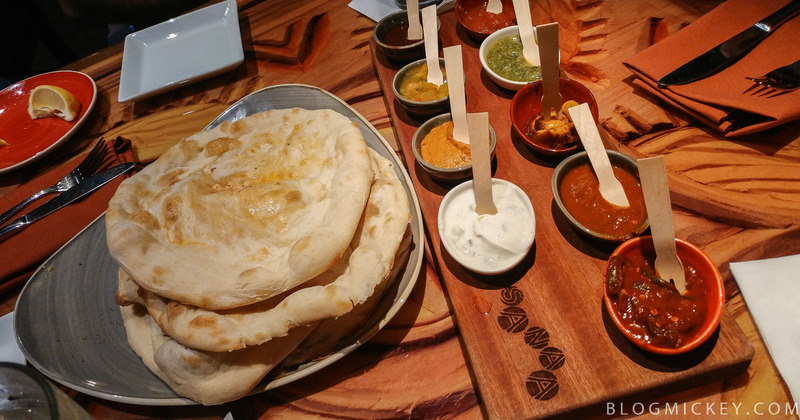 The change probably came as an attempt to take up less space on the table, but we found that the serving plate used to hold the naan was rather large and they whole thing took up about the same amount of space. I’m also assuming a plate and long flight board are easier to clean than the wooden boards. 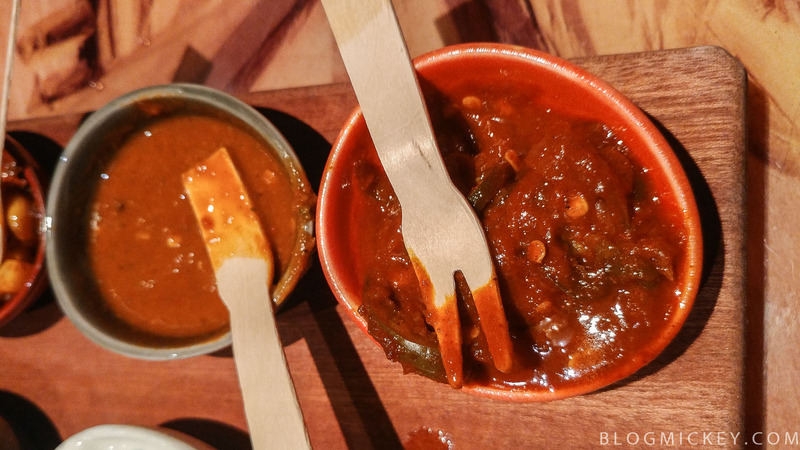 One thing thing that I didn’t particularly like was that they also did away with the spoons and instead have replaced them with a wooden two-pronged fork and a rectangular spoon of sorts. These feel cheap, but were fine to use in practice. Again, probably less to clean as these are similar to some of the wooden utensils you might find at a Food and Wine booth and just throw away after your meal. Finally, it seemed like there was a bit less of the accompaniments. The old bowls were a bit deeper and gave you a bit more to spread on your bread. Overall, it’s probably not enough of a dip in value to recommend against it, but the old serving board will be missed.